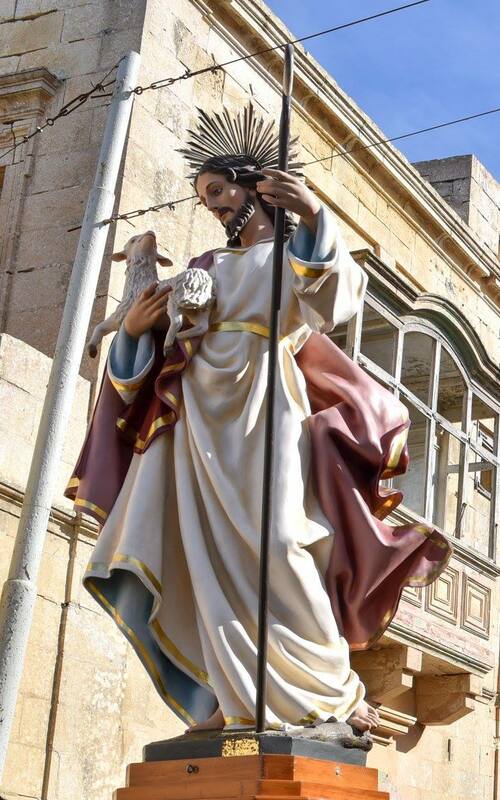 On Sunday the 30th of April, the 54th Congress of the Holy Name of Jesus was held in Zebbug. At 9.00 a.m. Bishop Mario Grech presided over the Mass that was transmitted on RTK Radio. At 4.30 p.m. the procession with the statue of the Good Shepherd marched from infront of the Santa Marija Band Premises to the Parish Church. In the Church, the President of the Congress Mr Joseph Refalo delivered the speech. Bishop Mario Grech and Archpriest Rev. Reuben Micalled also delivered speeches as did Fr Geoffrey G. Attard, the newly appointed Assistant-Chaplain of the Society. Students who attend the MUSEUM in Zebbug presented a mime that was prepared for them by the catechists. The Parish Choir animated. At the end, the Bishop gave the Benediction with the Blessed Sacrament.